Pallet and parcel specialist Delsol delivers items around the UK and across the globe to retail, commercial, industrial and private addresses, for large companies through to small enterprises and personal customers. 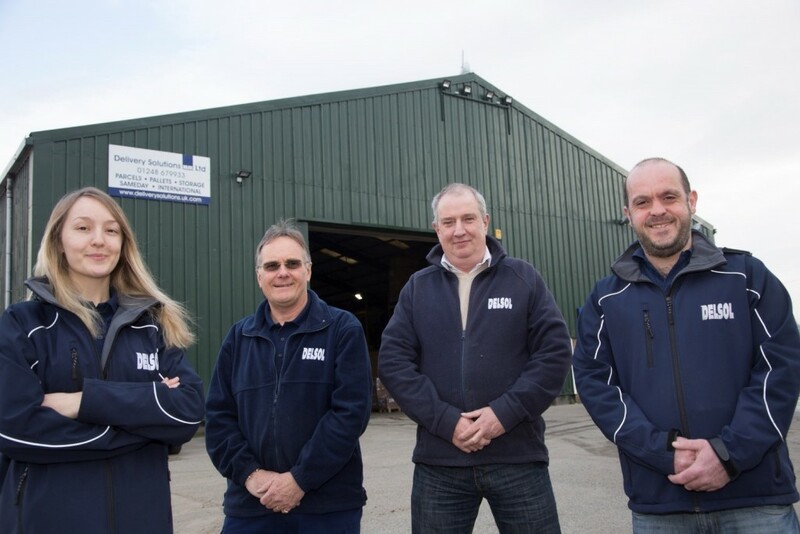 The company has an 80-strong fleet of vehicles and employs more than 120 staff at its delivery and storage depots in Caernarfon and Sandycroft. 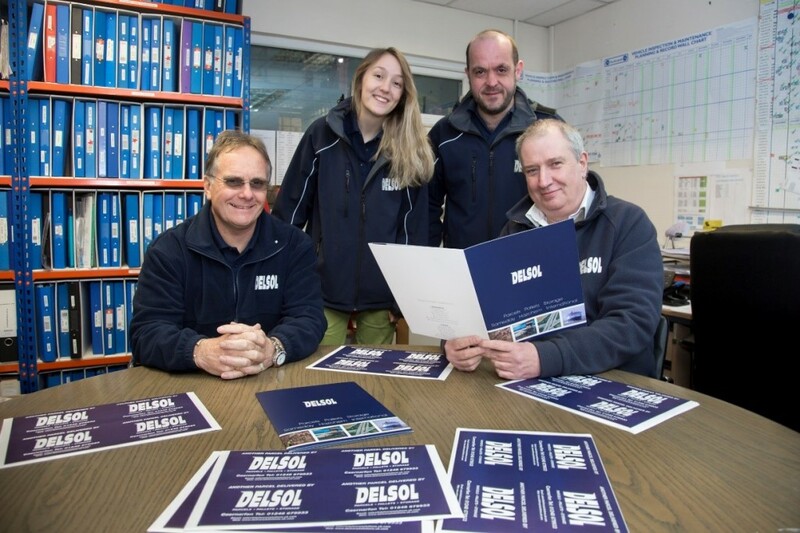 Delsol is a nominated supplier for the Welsh Government and public bodies such as health boards and local authorities and is part of the UK-wide Hazchem network . More details at www.deliverysolutions.uk.com, or call 01248 679933 or 01244 525090. 1 How would it help traffic problems if the A55 had average speed cameras along the whole length? Roy: It wouldn’t help because there’s just too much traffic already. It would simply cause more delays. Becky: I don’t think it would work as speed isn’t the cause of the present problems. It’s badly managed roadworks that are causing delays. Kevin: It won’t work as it would simply cause hold-ups, as people try to slow down for the cameras. I also think the present problems are caused by too many roadworks. Gavin: It would better if there was a third lane, that would help the traffic flow, it’s the main road into North Wales and needs to be more than just a dual carriageway. 2 Is it time to stop the clock change twice a year – how does it affect you? Roy: I’d prefer to leave it as it is – it’s always going to be darker or lighter in the mornings or evenings, depending on the time of the year. I’m not really affected by it. Becky: I’m happy with the clocks changing – for me it makes the winters more wintery, and then summers really feel like summer! Although I don’t like getting up in winter when it’s dark. Kevin: It really doesn’t bother me, I don’t find that gaining an extra hour, or losing an hour, makes any impact on me. 3 What’s the best thing about living in Wales? Becky: No matter what the weather is doing, there’s so many activities you can do – climbing, surfing, wild swimming, mountain biking. Kevin: It’s a better pace of life, and it’s not commercialised. I often go back to Stoke and everybody seems so busy and there’s so much development. Here there’s space around you. Gavin: It’s the pace of life, I’ve always lived here and it suits me. When I visit big cities I can’t wait to get back to North Wales and our mountains and sea. The scenery is wonderful. 4 What would you like to see Chancellor Phil Hammond announce in the Budget on March 8. Roy: As a transport company I’d say the big things for us are a reduction in fuel duty – that will help keep prices of all goods down – and improvement in roads. Personally, more help with pensions and investment in social care. Becky: As a former trainee midwife, I think the priority needs to be funding the NHS. The funds should go towards supporting the frontline staff, ensuring a consistent high quality of care is provided to patients. Gavin: More spending on the NHS on the front line, with more money going where it will really make a difference. I’d also like to see a reduction in fuel duty and more spending on roads. 5 What’s the most picturesque road in North Wales. Becky: The roads from Waunfawr to Bethesda, passing through Rhyd Du, Beddgelert, Capel Curig and the Ogwen Valley – the views across the lakes and mountains are spectacular. Gavin: Anywhere you go in North Wales there’s a good view, and something different. I like driving along the A5 as there are mountains and quaint little villages. It feels like home. Credit : The Grapevine – The North Wales Daily Post.